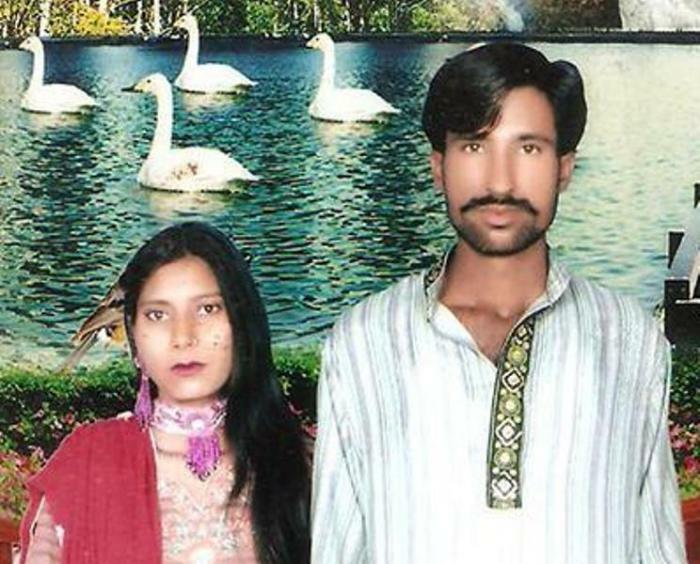 A Pakistani court has acquitted 20 people who were charged with torturing and burning alive a young Pakistani Christian couple in a brick kiln after being falsely accused of blasphemy. Shahzad Masih, 26, and his 24-year-old, five months-pregnant wife, Shama Bibi, who were from the village of Kot Radhakishan in the Punjab province, were accused by local Muslims of tearing pages out of a Quran, following which hundreds of enraged Muslims gathered and burned them alive on Nov. 4, 2014. RadioFreeEurope quotes the prosecutor, Abdur Rauf, as saying that the court on Saturday acquitted 20 suspects. In November 2016, an anti-terrorism court had sentenced five men to death and 10 others were given varying jail terms for playing a supportive role in the killings. Later, the court acquitted 93 other suspects in the case the same year. Christian and other minorities in Pakistan routinely face blasphemy charges followed by "religious" lynching. Pakistan has a notorious blasphemy law, embedded in Sections 295 and 298 of the Pakistan Penal Code, which provide for penalties ranging from a fine to death. The law is often misused to target religious minorities, including Christians, Shi'as, Ahmadiyyas and Hindus, as there is no provision to punish a false accuser or a false witness of blasphemy. It has been found that the law is used by some Muslims to falsely accuse members of minority communities to settle personal scores. Although the couple tried to hide from the mob, they were eventually beaten ruthlessly and burned alive inside the brick kiln that they worked at, leaving their three young children, Suleman, Sonia and Poonam without their parents. Yousaf Gujjar, the owner of the brick kiln that both Shama and Shahzad worked at as bonded laborers, is believed to have made up the blasphemy allegations because the couple owed him money that they could not pay. However, he was granted bail based on the claim that he was not even at the brick kiln the day that the couple was burned. An estimated 1.6 percent of Pakistan's 17 million people are Christian, both Catholic and Protestant. Around 97 percent of the Pakistanis are Muslim, predominantly Sunni.